Luigi Pirandello was born on June 28, 1867 in Kaos, near Agrigento in Sicily, where his father owned sulfur mines. He left Sicily to study in Rome and eventually completed a doctorate in linguistics at the University of Bonn in 1891 with a dissertation on the dialect of his home town. He initiated his writing career as a poet. In 1894 he married Antonietta Portulano, the daughter of one of his father’s colleagues. The couple settled in Rome, where Pirandello became acquainted with other writers. He began to write short stories — eventually hundreds of them — and to adapt some of them for the stage. In 1903 the failure of the family sulfur mines caused severe financial problems for Pirandello, his wife, and their three children Fausto, Stefano, and Lietta. Antonietta began to suffer from severe mental problems from which she never recovered, and she was eventually placed in an institution. Needing to work, Pirandello taught at the Magistero, or normal school. He published his first — still his best-known — novel, The Late Mattia Pascal, in 1904 and an important theoretical essay, “On Humor,” in 1908. His early plays such as Sicilian Limes and Liolà explore the Sicilian mentality and culture, contrasting it with those of the mainland. His period as a major dramatist began with Right You Are (If You Think So) in 1916 and culminated with his two greatest plays, Six Characters in Search of an Author (1921 and 1925) and Henry IV (1922), now both newly edited and translated by Martha Witt and Mary Ann Frese Witt and published by Italica Press. A member of the Fascist Party as early as 1923, Pirandello hoped that Mussolini would support the Teatro d’Arte, which he began to direct in 1925, staging his own plays, some foreign plays, and the works of contemporary Italian dramatists, including Massimo Bontempelli. Il Duce, however, although expressing interest in his work, never gave financial support and the experimental company disbanded in 1928. Despite this disappointment and other disagreements with Mussolini, Pirandello remained a loyal fascist until his death. 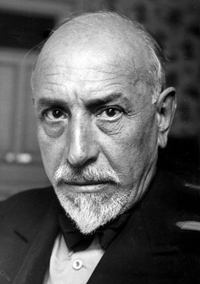 Pirandello was awarded the Nobel Prize in Literature in 1934 for his “bold and brilliant renovation of the drama and the stage.” His plays are still regarded as groundbreaking and a major influence on modernist and postmodernist theater. He died in Rome on December 10, 1936.